Testimony of the Ancients is the 3rd full-length studio album by Dutch death metal act Pestilence. The album was released in September 1991 by Roadrunner Records. The album was released on both CD and vinyl upon initial release. Roadrunner Records re-issued Testimony of the Ancients with Consuming Impulse (1989) in 2003 as part of the Two from the Vault series. So if you´re able to get your hands on that version, it´s quite the bargain to get two full albums for the price of one. There´s been a significant lineup change since Consuming Impulse as bassist/ lead vocalist Martin Van Drunen left Pestilence in 1990. The band didn´t have luck to recruit a permanent replacement ( Nick Sagias replaced Martin Van Drunen but only lasted two months) and guitarist Patrick Mameli ended up taking over the vocal duties in addition to playing the guitar. The band didn´t recruit a permanent solution for the bass player spot either, but opted to have session bassist Tony Choy ( Cynic, Atheist, C-187, Area 305) record the basslines for Testimony of the Ancients. Tony Choy also ended up touring with Pestilence in support of the album. The sound on Testimony of the Ancients is quite the departure from the brutal and savage death metal style on Consuming Impulse. While Patrick Mameli certainly delivers some satisfying growls, his vocal delivery is much more human than the extreme brutality of Martin Van Drunen. It´s probably an aquired taste which vocal style you prefer, but viewed upon objectively Patrick Mameli´s vocal style is the least unique but probably also the most accessible. Think Chuck Schuldiner ( Death, Control Denied) or Francis M. Howard ( Incubus, Opprobrium) and you´re just about there. The instrumental side of the music has also changed quite a bit since Consuming Impulse. While the music on Testimony of the Ancients is still death metal, the level of sophistication has been boosted a lot. There´s a notable addition of keyboards in the music ( performed by Kent Smith) and overall the band has put much more melody into the songs on this album compared to earlier releases. The solo work is in fact so melodic that I´m at times reminded of Iron Maiden. For a death metal album Testimony of the Ancients comes surprisingly low on the brutality scale. That doesn´t mean the tracks aren´t aggressive and there are still moments that are crushingly heavy like the main riff in Twisted Truth, so this is still some pretty extreme metal, no doubt about it. The album consists of 16 tracks, but half of the tracks work as short transitions between the more regular tracks on the album. I always found the short tracks to be nice little breathers between the regular death metal tracks and they provide a nice flow to the album. The band chose to travel to The United States to record Testimony of the Ancients in the ( now) legendary Morrisound Recording in Tampa, Florida with producer Scott Burns. 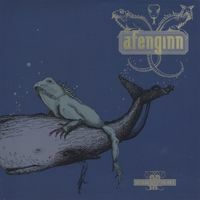 I´d say the production on this album is one of the better ones to come out of Morrisound Recording in the early nineties. The production is not as focused on sounding brutal as many other albums recorded in the Morrisound Recording studios in those years and that makes for a powerful yet detailed and at times even epic listen. Testimony of the Ancients is a very succesful death metal album in every respect. 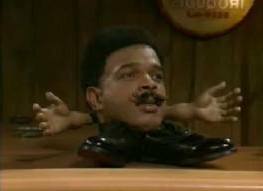 The songwriting is full of innovative ideas, the musicianship is excellent and the production is also of high quality so anything less than a 4 star rating from me would be close to a crime. Testimony of the Ancients is probably one of the most unique death metal albums from the golden death metal year of 1991. On a sidenote the Dan Seagrave cover artwork is also really cool and if you look at the full package, a great cover also adds something to the experience of purchasing an album. Especially when you´re looking at the vinyl version like I do. As heavy metal continued to evolve as the 1980's were comming to an end, you could see that something was about to change completely for a number of bands, whose albums could foreshadow some years in advance. Voivod had Dimension Hatröss, Death had Human, Queensrÿche had Rage for Order, Savatage had Streets, Fates Warning had Waken the Guardian and Pestilence had Testimony. Even though Testimony of the Ancients is a straight death metal album for the most part, there are substantial parts of it that point to the direction that the band would take not much time after, such as leaving behind a considerable part of the brutality of Consuming Impulse and foc using in improving their compositional craft and the playing abilities; the biggest case for them, for me, in both cases would be the third song, Twisted Truth, which features some of the most amazing and memorable guitar solos of death metal, leaving me mesmerized everytime I listen to that song. Testimony of the Ancients also feature a noticeable deal of experimentation on the part of this Dutch band, having keyboards playing on multiple instances (what is still somewhat a taboo amongst extreme bands today, so I can only imagine the backlash they had then based on the fact that the band made some effort to make it clear, on Spheres, that did not used any keyboards) as well as having a number of interludes (though some would call them fillers) through the whole album, which both conclude the song that preceded and introduced the next, what isn't something you would find in any given album, specially in death metal genre. Even the cover is unusual for death metal standards, with a metallic sphere of some sort in what seems to be a tower in castle or fortification, giving the album something of a mystical aura instead of the usual gore/splatter/shock cover art. Being the middle ground between Consuming Impulse and Spheres, however, has a price: inconsistence; not in quality, mind you, but in integration. In Testimony the band has some hard time integrating their traditional, so to speak, death metal with the new found progressive approach they are employing through the album. It is possible to see the stark change between the death and the prog in a matter of moments. Once again I would like to draw attention to Twisted Truth, where just some few notes separate the brutal atmosphere (made solely by the guitars, bass and drums) and the melodic guitar solos and hooks (which have the keyboard added to the mix, playing in the background, what reinforces the dramatic change in the song's tone). Both the production and the musicianship here are great, what only add to the album's overall quality. The production, specifically, makes every instrument sound clear, also gives them a some rough edges to couple with the music's aggressiveness. Up untill this point in their career, I could say that Pestilence was something of a generic band, being mostly influenced by other bands than actually being an influence, a point of reference. 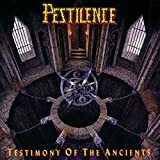 Testimony of the Ancients definitively changes the way that Pesttilence is viewd, making them a band that was not a only considered genuinely good, but also as one of those who were driving this genre forward (and unconsciously founding extreme progressive metal). Because of all that, 4 stars for this testimony. 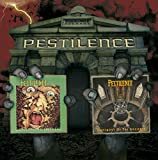 Pestilence is a technical well developed death metal band from Holland that on their 'Testimony of the Ancients'-album set their first step into progressive territory, before recording the fusion-drenched 'Spheres'-album after this one. The band has been credited with being one of the first to discover this territory, combing the death metal sound with mild symphonic arrangements and a broadened eye for harmony and atmosphere. Furthermore, Pestilence plays some very melodic parts on a few tracks reminding me a bit of Iron Maiden. The sheer heavyness of Pestilence with its very heavy grunts make this only interesting for those who are already fans of the technical death metal genre. I myself like the very heavy Metallica 2.0 sound and interplay and the technical playing of the bandmembers. It's like taking the genre to the extreme. The doomsday feel and slightly gothic keyboard-arrangements on some track give the music more depth. Between every death metal track one finds a short atmospheric interlude, which provides us with some breathing space. Conclusion. Interesting slightly progressive death metal album that will satisfy listeners of the genre and those interested in its development. Three and a halve stars, though from a metal- point-of-view it would deserve four. Not quite as progressive as some of the material they would produce later, Pestilence's Testimony of the Ancients is still a technical metal tour de force which manages to hit a fine balance between brutality and technical finesse. Alternating between more developed pieces and brief, curious little instrumentals, the album offers up a somewhat more pristine and clean-sounding production than is typical for death metal of this era, but I think that really brings out the more subtle nuances of what Pestilence are trying to do here. The overall impression given is less of a brutal, aggressive bellow of rage and more like a panicked rant, which fits the lyrical themes nicely. 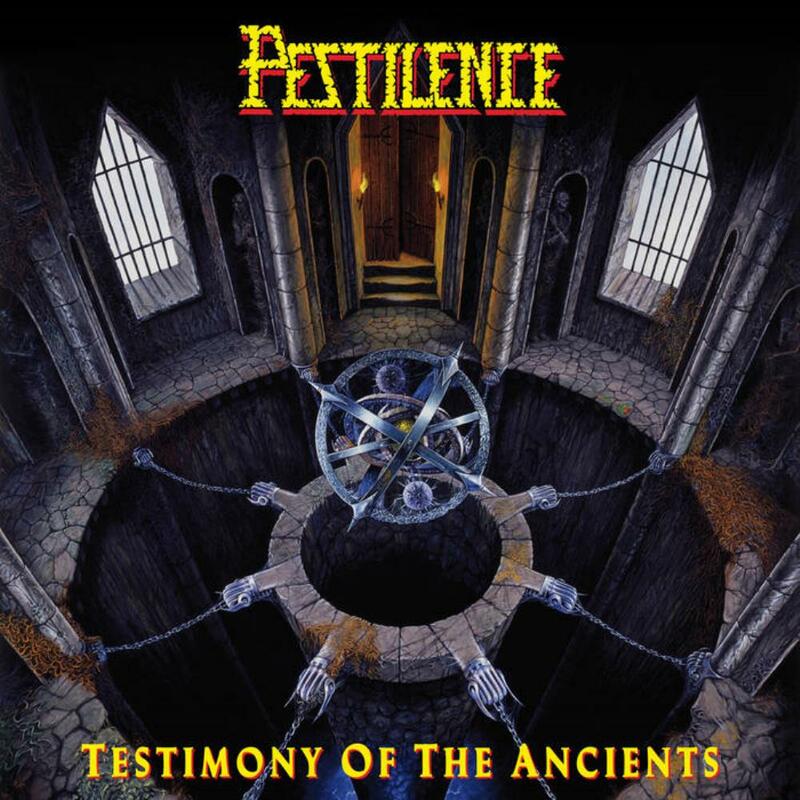 Post a review of PESTILENCE "Testimony Of The Ancients"